What's more all-American than the pursuit of advancement and letting your voice be heard? Not your ordinary Q&A board game, this fun salute to the nation keeps things lively. 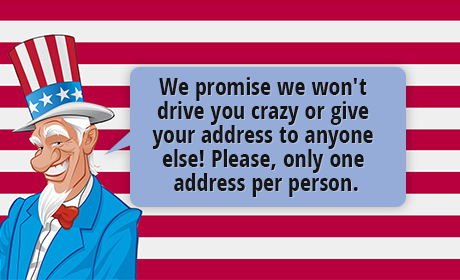 You'll follow clues to guess the names of American people, places and things. You'll answer questions on history, geography and culture (What state has a western border that is almost entirely defined by the Colorado River? Yes, it's Arizona!). And you'll even advance by guessing other players' opinions (Which of the Vice Presidents do you think did the best job?). Be the first to get your flag to the top of the flagpole and you win! 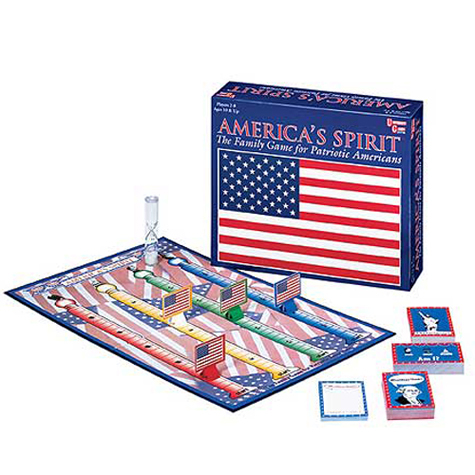 Includes a gameboard 280 Americology cards, 60 Whaddaya Think? cards, 60 Who Am I? cards, a Whaddaya Think? notepad and four American Flag playing pieces.